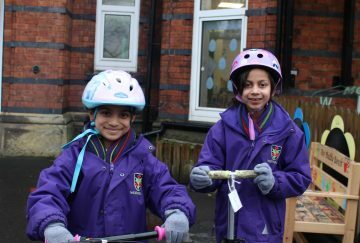 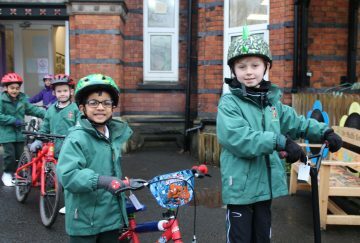 The boys and girls in Year 2 braved the weather today and were very excited to bring their bikes and scooters to school for ‘CycleDay’ as part of their ‘Healthy Me’ project. 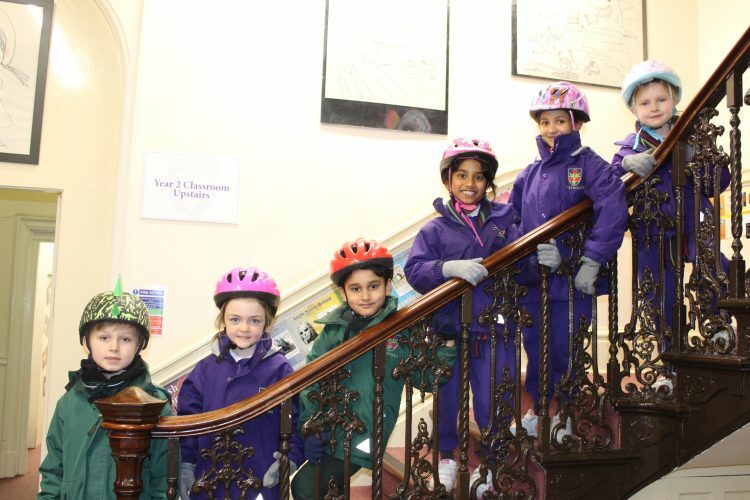 They had already learnt about the importance of wearing a safety helmet when riding their bike or scooter and so before they got going the children shared all their knowledge on the subject. 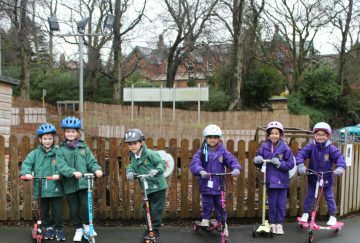 Once the children were dressed and ready to go they had great fun riding safely up and down the playground, manoeuvring around cones and stopping quickly and safely in the ‘brake zone’. 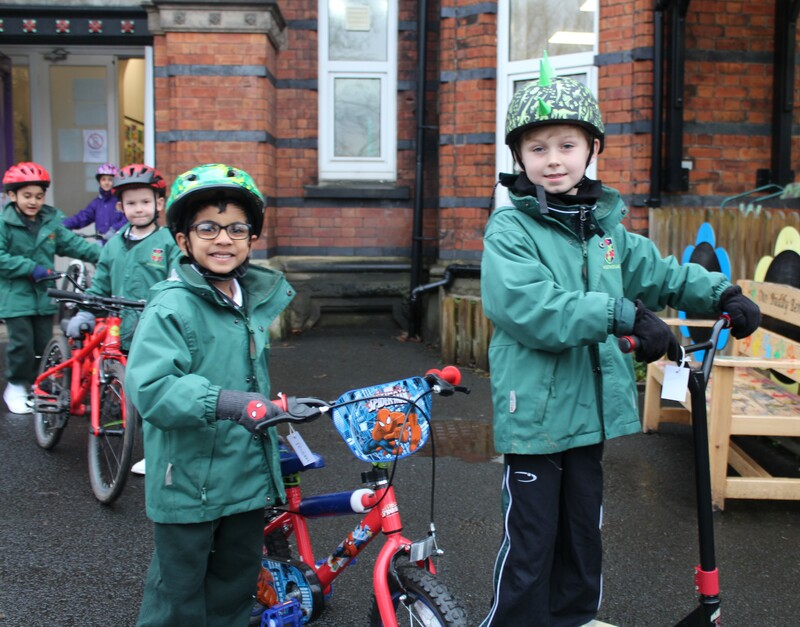 They also discussed road safety, parts of the bike, basic bike maintenance and how to signal that you are turning. 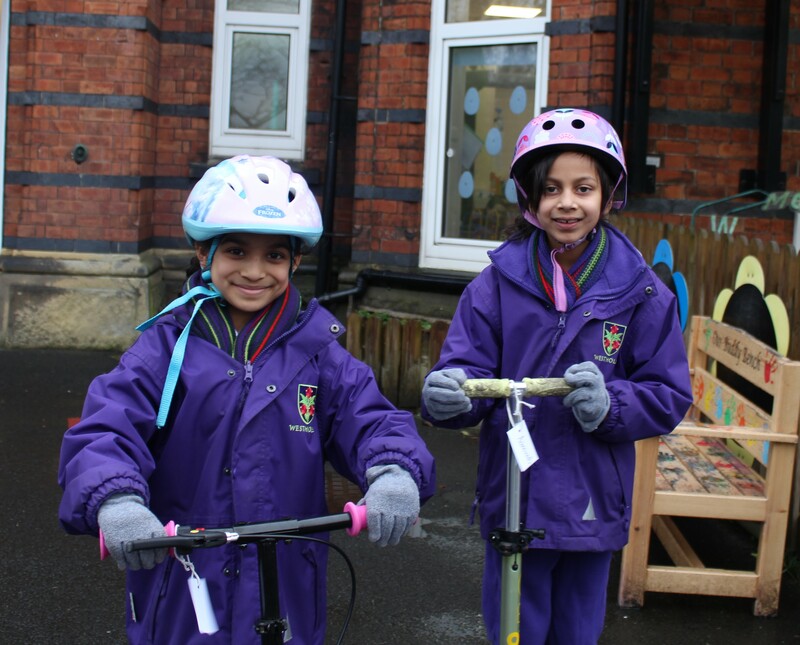 The children had a fantastic morning and really enjoyed learning to become more proficient cyclists!